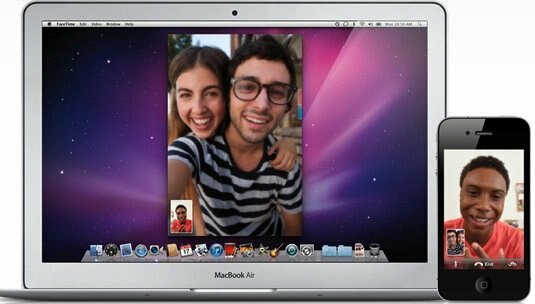 FaceTime is the video chat protocol available to Mac users in OS X as well as iOS for iPhone and iPad, and it works great to beam images from one camera to another device over the internet. One lesser known feature that is hidden from the general usage of the Mac FaceTime app however is the ability to set FaceTime to automatically accept FaceTime calls from a specific contact, which is what we’re going to cover here. You can set FaceTime to accept an incoming call either by email address or by phone number, or both if you want to set them separately. Make sure the string is all contained in one command on one line. You can add as many pre-screened email addresses and phone numbers that you’d like to automatically receive and accept FaceTime calls from (Obviously this only works in Mac OS X), and it will work with both the FaceTime Video and FaceTime Audio communication methods. This is a neat trick that I was trying to figure out how to do on my own, since it allows you to use a FaceTime computer in a set location as a remote web cam of sorts, when I stumbled on a post from a computer repair company amusingly named CornDog Computers which discovered the defaults strings. Apparently they were writing an application that would automatically answer calls when they discovered you can do it manually through the defaults command, which is what we detailed above. This appears to work in all modern versions of OS X that support FaceTime, give it a try and let us know in the comments if you have any findings for OS X or otherwise. @ John …., same here. Ringing doesn’t stop. I also would like to know – just in case – how to UNDO this. Same here it doesn’t stop ringing. Then calls from the address previously added were auto-accepted. Previous tried but no help, after this hint immediate auto answer. Thanks again! This no longer works on Mountain Lion (10.8.x). “AutoAcceptInvites” still works, but “AutoAcceptInvitesFrom” is ignored, so all calls are accepted and there is no access control. How do you undo this? Anybody? seem to work, but they actually don’t! I did this but it doesn’t seem to work for me. I wrote: write com.apple.FaceTime AutoAcceptInvitesFrom -array-add […] but it didn’t do anything for me. I’ve tried entering the email and the phone numbers but still nothing works. I was wondering if someone would help me out here? Thank you very much. This is a great way to setup a thermometer in front of your computer to know what your house temperature is while you are gone. Thank you!